The Chrysler 300 perfectly combines style, elegance, and luxury with technology and safety features to give you everything you could want in a sedan. See the 300 today when you visit Elliott Chrysler Dodge Jeep Ram Fiat Palestine in Palestine, TX. Are you ready to elevate your driving experience to the next level? Do you want a car that defines your lifestyle? If you want to drive a vehicle that is stylish, luxurious, elegant and packed with features that you will love, you want the Chrysler 300. It defines what a luxury vehicle should be and we want to give you a tour of the 300 at Elliott Chrysler Dodge Jeep Ram Fiat Palestine today. When you have reached a certain social status, you need a sedan that turns heads and stands out from the crowd. You want to see and to feel the luxury in every aspect of the sedan as well. The Chrysler 300 is the sedan that looks and feels the way you want it to. Its exterior is bold and aggressive and features plenty of luxurious accents you will love. Step inside the cabin and feel the comfort of the Nappa Leather Seats that envelop you like a pillow for the most comfortable ride on the road. The 8-way power adjustable driver’s seat offers heat that will comfort you through those rough winter months and soothe your achy back when you have a hard day at the office. Ventilated seats give you the cooling you need during the hot months too. Chrome accents can be found throughout the cabin that gives the 300 an even more luxurious feel. Stop by Elliott Chrysler Dodge Jeep Ram Fiat Palestine and see the 300 in person. If you are searching for a luxury sedan, you expect a certain degree of technology to accompany the inside of your vehicle. You want smart technology that keeps you connected while on the go. The Chrysler 300 is the luxury sedan you have been waiting for. It is filled with smart technology that you will love. The Uconnect 8.4-inch touchscreen infotainment system gives you access to everything you need. Get directions using the integrated navigation system and always reach your destination on time without delay. Use the Bluetooth technology to stay connected while on the go so you have the latest information you need when you arrive at the office, or at home. SiriusXM Satellite Radio gives you over 150 channels of talk, news, sports, comedy, and music to keep you entertained for hours while on the go. You can also stream your favorite music if you prefer. The Entertainment Hub is the perfect way to keep all of your smart devices charged with a wireless charging pad, or USB. Let our tech experts at Elliott Chrysler Dodge Jeep Ram Fiat Palestine give you a demo today. We all strive to keep safe when on the roadways, but what if you could help avoid an accident altogether? The Chrysler 300 offers accident avoidance technologies that can help you stay even safer as you head out on the road of life. Adaptive Cruise Control with Stop makes keeping a safe distance on the highway easier than ever before and you don’t even have to hit the brakes when a slowdown occurs. Full-Speed Forward Collision Warning with Active Braking will alert when a car stops suddenly and will even hit the brakes if you don’t react in time. LaneSense Lane Departure Warning with Lane Keep Assist helps keep you in your lane and will alert if you drift across the line. Rear Cross-Path Detection lets you know if there is someone in your path when your 300 is in reverse. The Blind Spot Monitoring System is similar except it will alert when someone is in your blind spot so you know that it is clear to change lanes. For more information on all safety features, visit our product specialists at Elliott Chrysler Dodge Jeep Ram Fiat Palestine. 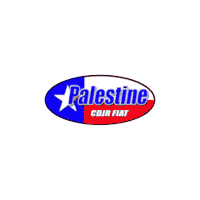 The Chrysler 300 is a popular vehicle here at Palestine Chrysler Dodge Jeep RAM FIAT. Because of this, our inventory is limited so we urge you to hurry in and get your Chrysler 300 before it is gone. Browse our inventory online and if you don’t see what you are looking for, let one of our product specialists track it down for you to save you the extra leg work. You can even value your trade, get pre-approved for financing, calculate your payment, and more all from the comfort and convenience of your very own home. We look forward to meeting you and can’t wait to help you find your dream car.